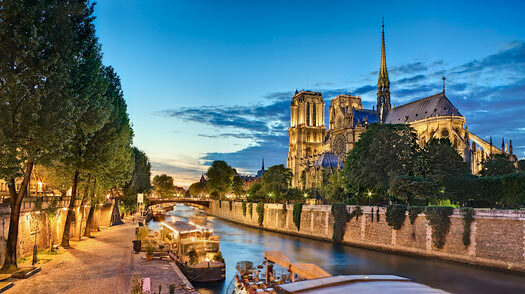 For all the talk of its fêted spring, Paris is truly a perennial city. In fall and winter, when tourist crowds are sparse, the city's cafés still hum and the streets throng with natives  well-dressed, portfolio-armed and back to work, refreshed from their own summer escapes. Running on equal parts pride and panache, this everyday Paris  found in sidewalk cafés or in the bookstalls lining the Seine  is equally exciting as any of the city's grand monuments. The soaring Eiffel Tower, the mammoth Louvre Museum, the cathedral of Notre-Dame  these are all worth seeing, to be sure, but even at street-level, Paris rises above its own hype. Paris Guide: Find travel deals, hotels and more!